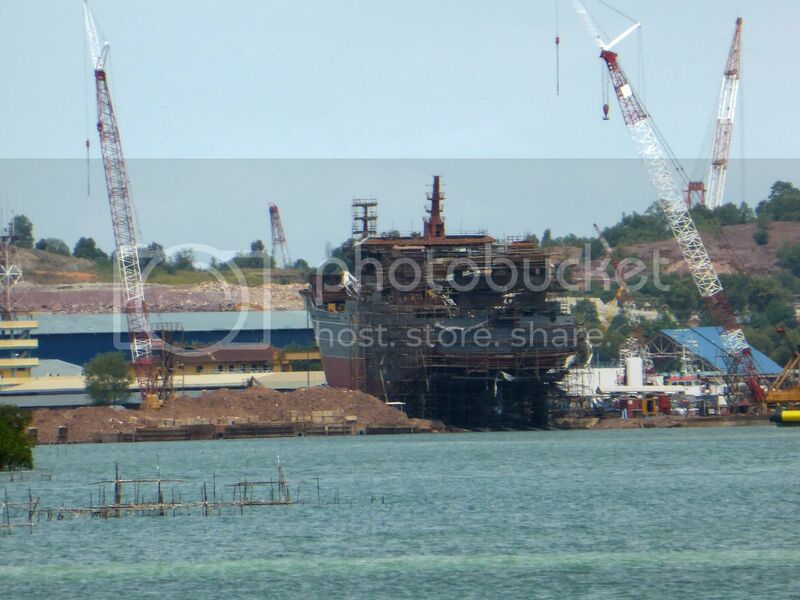 It will soon be heading your way Asimut. 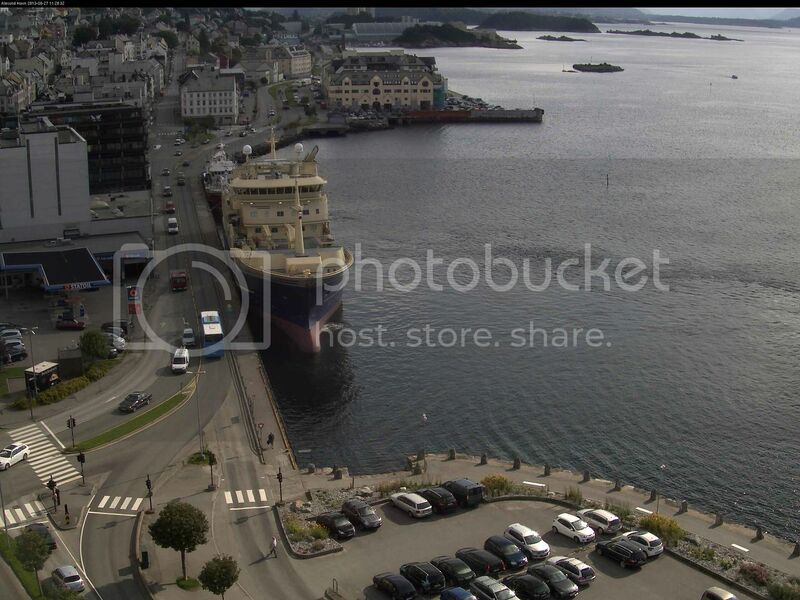 I see "Gadus Poseidon" is still at Brattvåg,but I will look for her when she is heading my way. 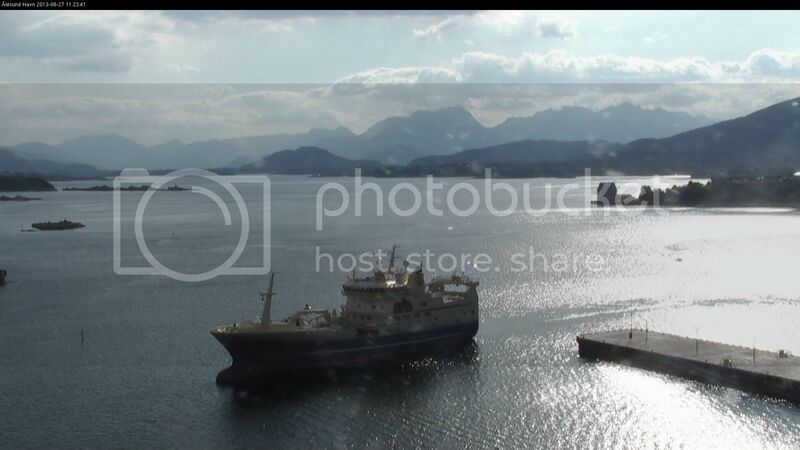 "Eldborg" inbound to Tromsø this afternoon. How many times has she been lengthened?! 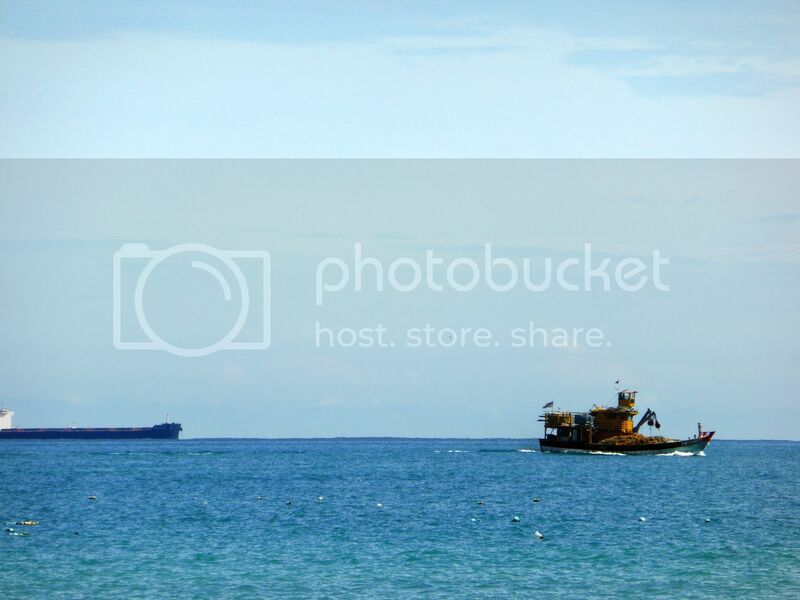 Actually, this outside Pulau Pangkor. Pakarang should be able to confirm the advantage of that. Looks like we have lost most of the pictures posted by Asimut in this thread. 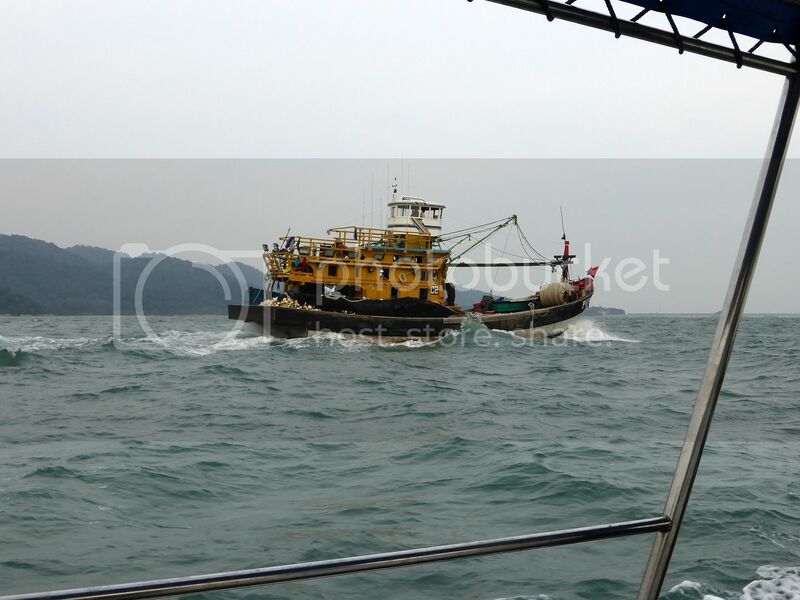 Pitty, since that is the majority of Fishing vessels here. I hope they can be restored??? 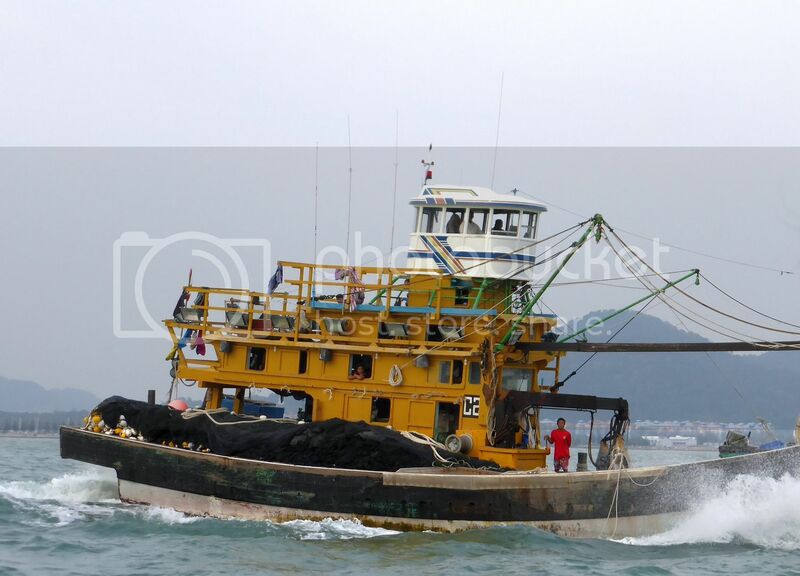 It looks like a large Super Trawler for catching Pelagic species like Horse Mackerel and Herring. Probably Dutch. 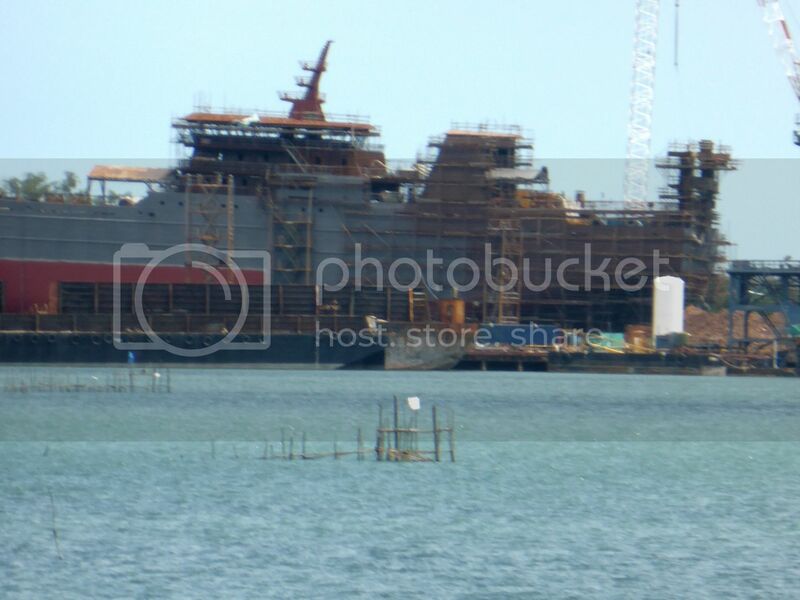 Anybody know anything about the vessel?? 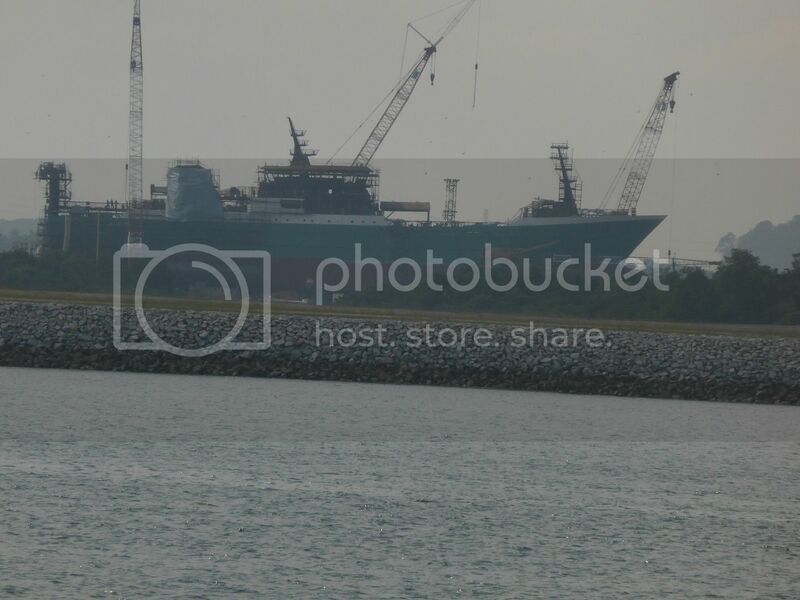 She has got a coat of green paint on the hull now. Where is Asimut to answer the obvious question; What name?? 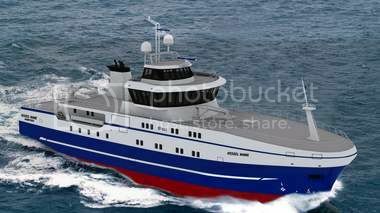 This one will be built in Turkey, like many other fishing vessels for Norwegian Owners lately. 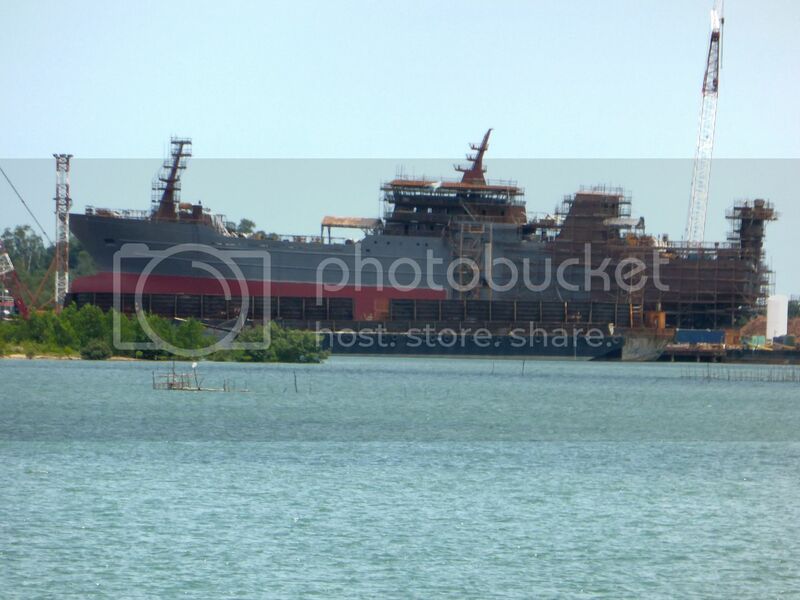 Can anybody see a mini Expedition Cruise ship built to nearly the same design??? Certainly, this could be a good concept for a small expedition ship as well. 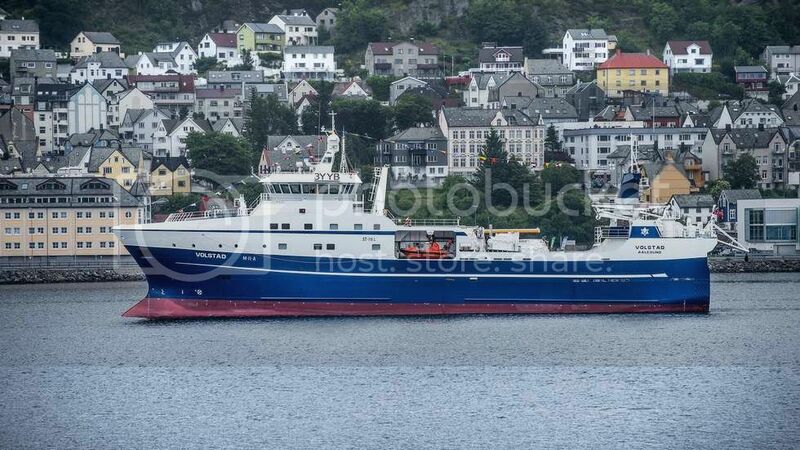 The fishing vessel is "Eros" in both images. 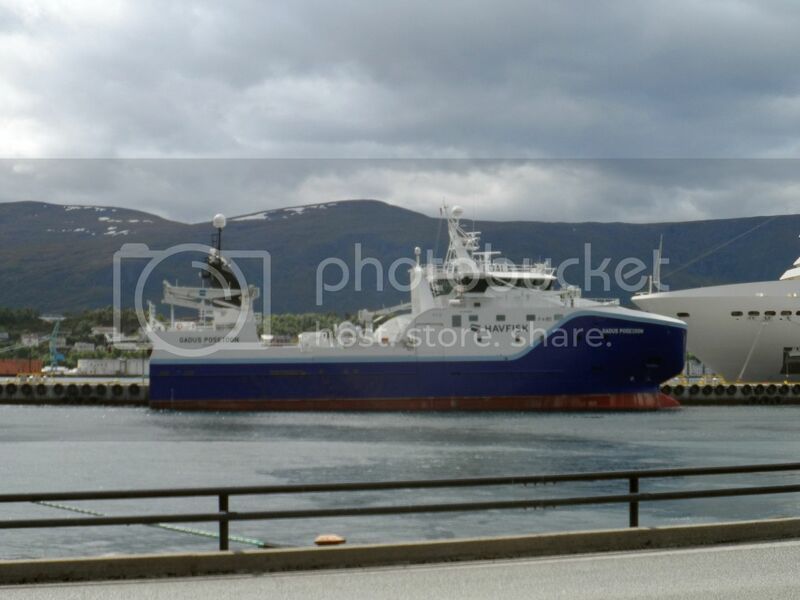 "Gadus Poseidon" in Tromso last month. "Lofotværing" heading for the fishing field. "Ole-Arvid Nergård" heading out from Tromsø.